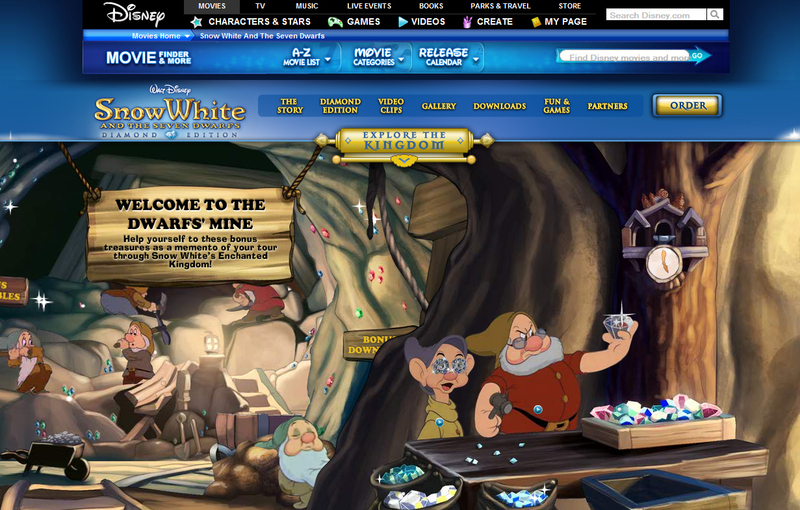 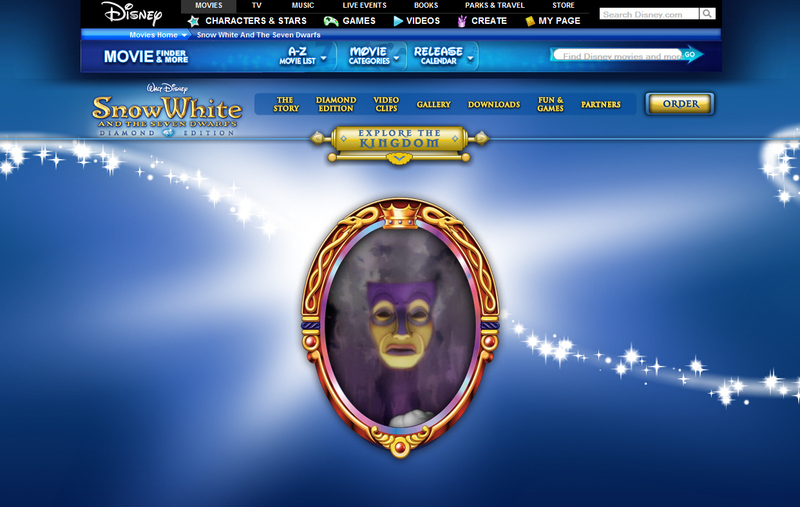 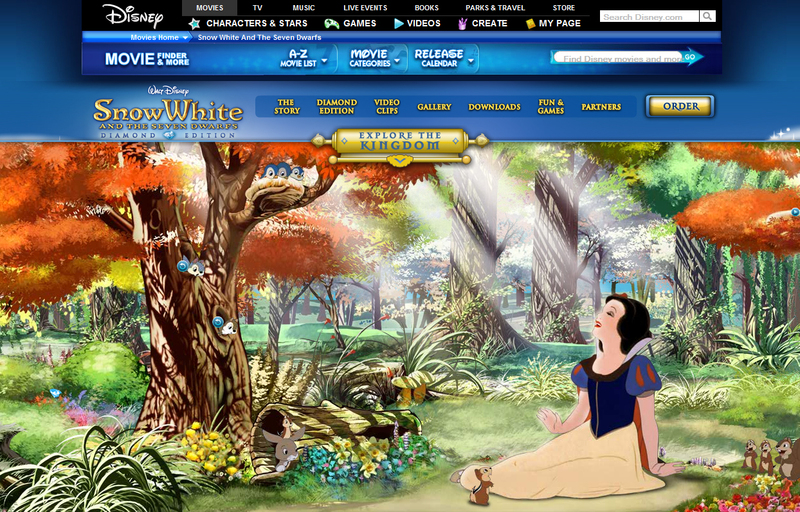 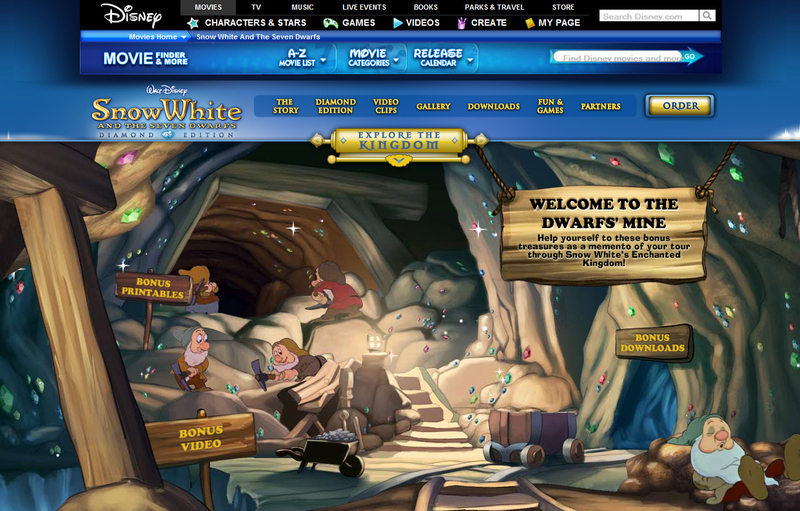 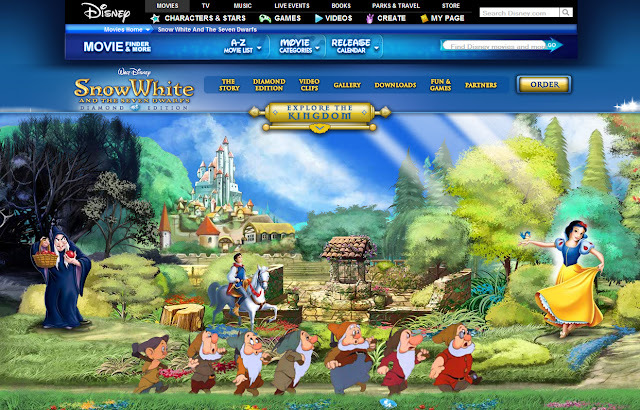 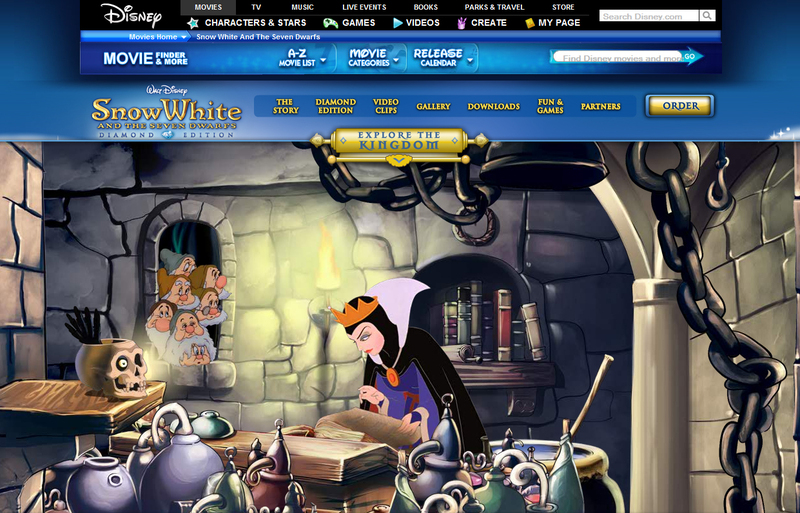 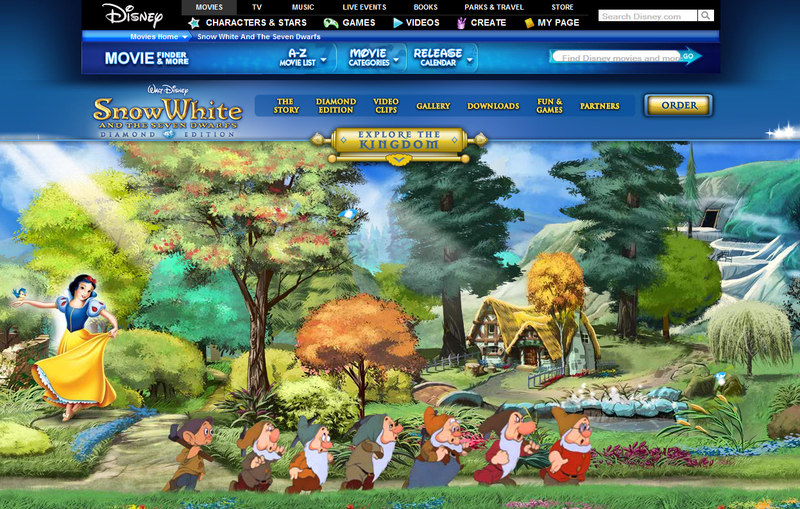 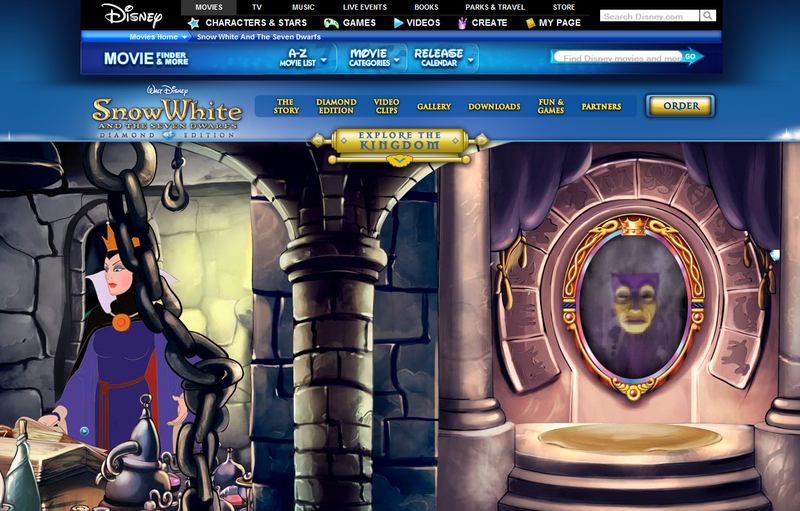 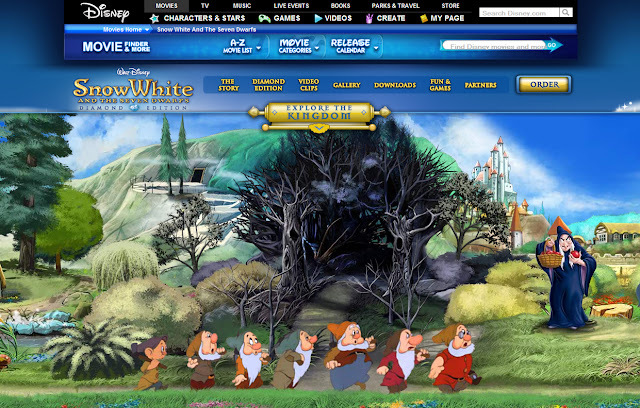 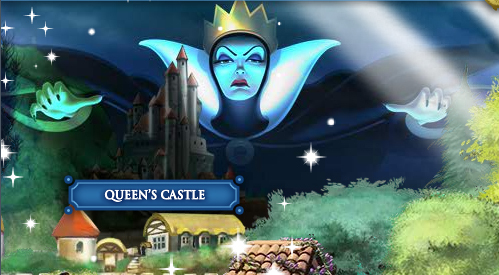 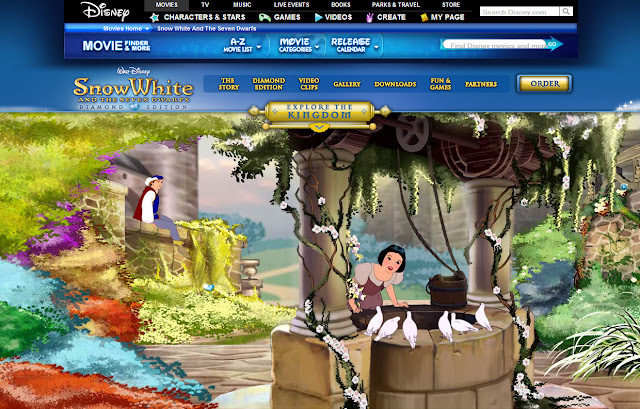 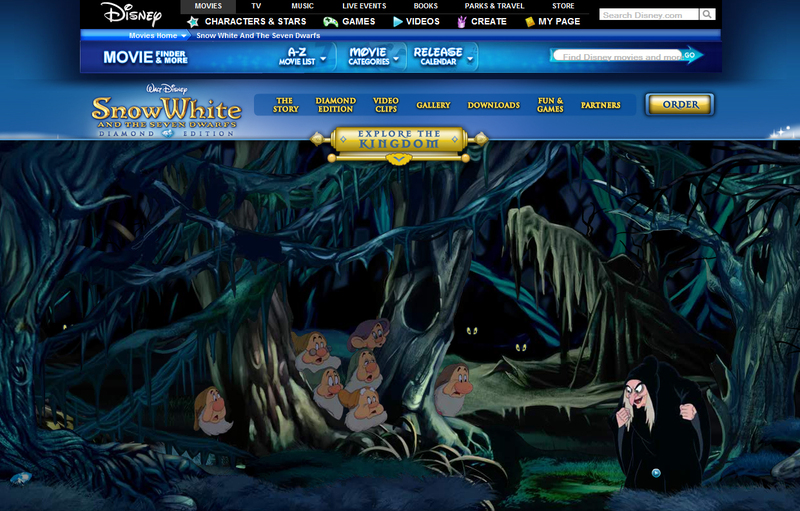 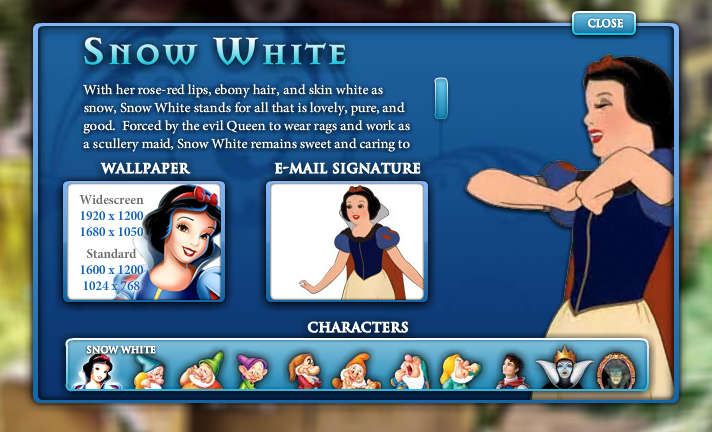 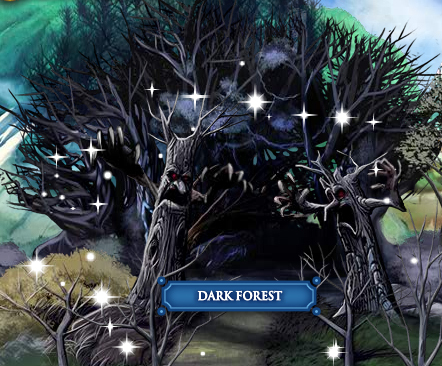 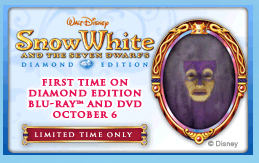 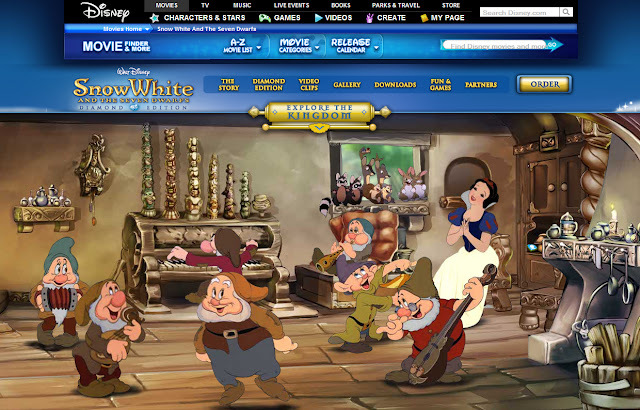 The Magic Mirror introduced this flash animated game with the words,"The magical world of Snow White awaits." All wallpapers and screen captures © Disney. 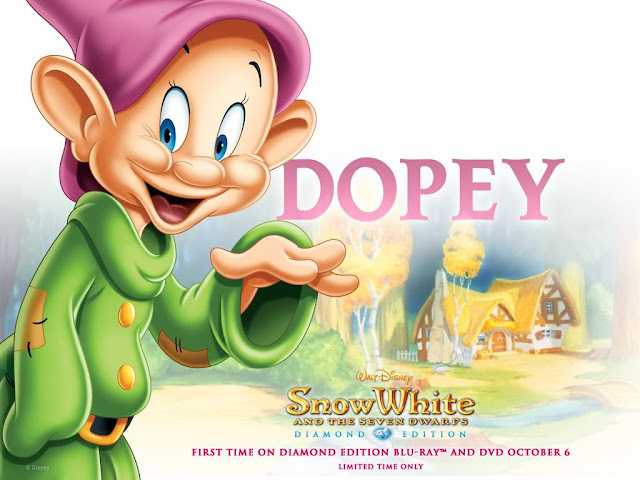 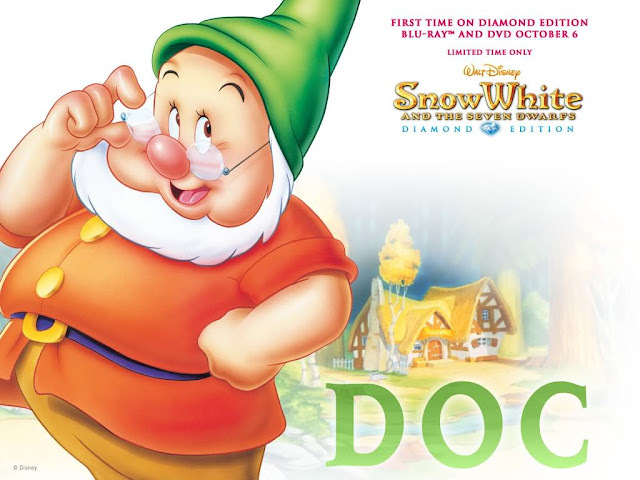 Here's eleven Disney desktop images with artwork from the 2009 Blu-ray home video release. 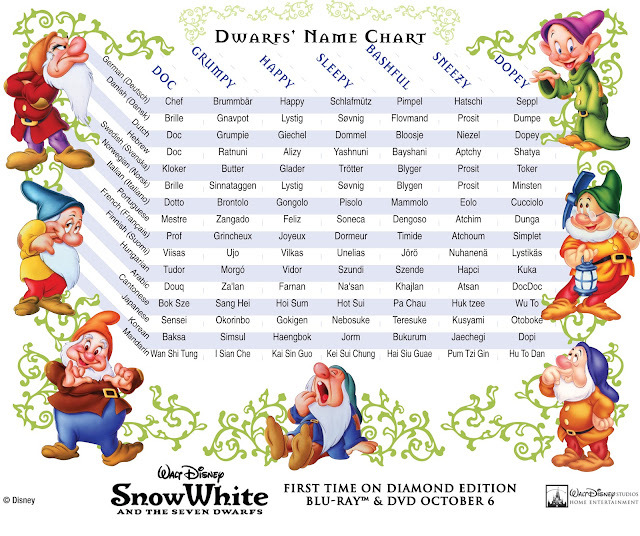 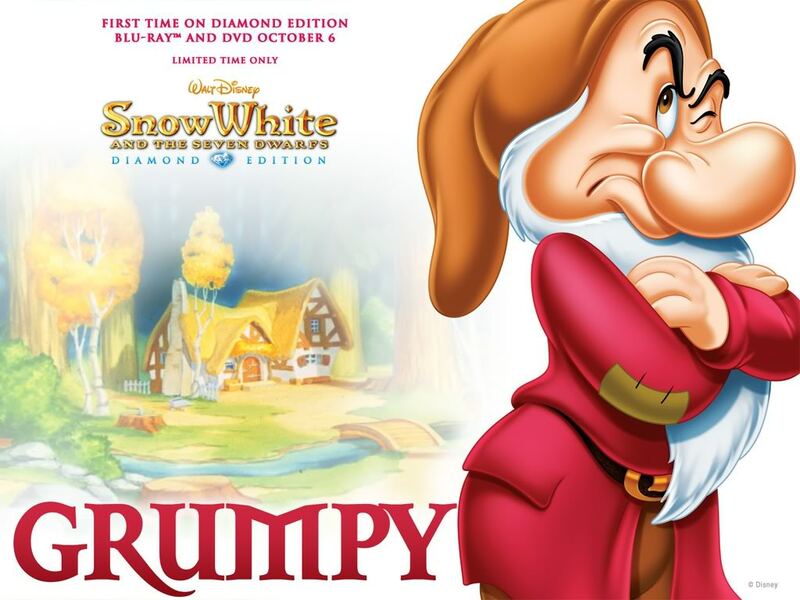 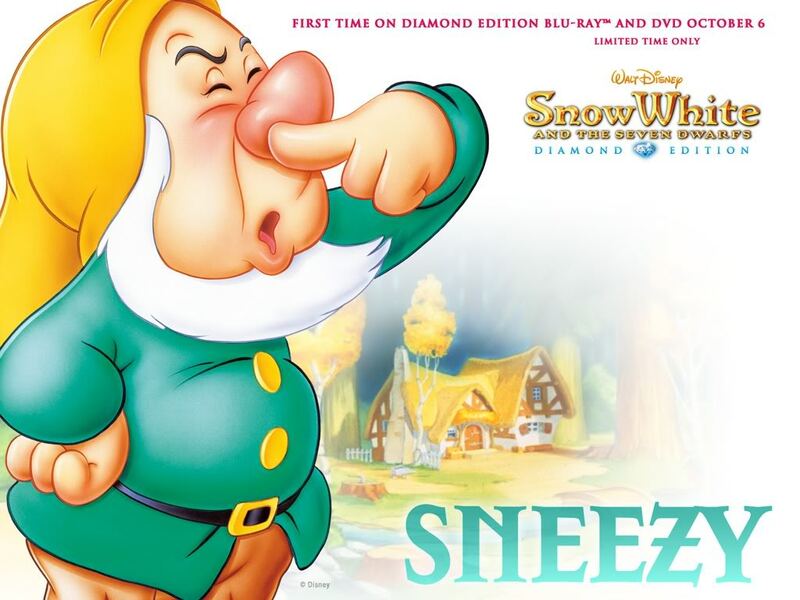 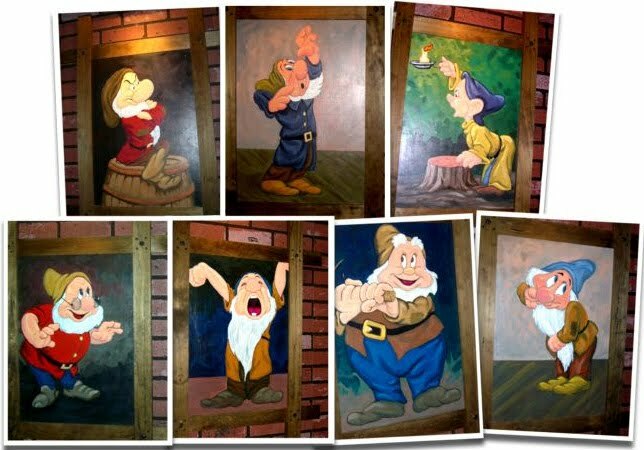 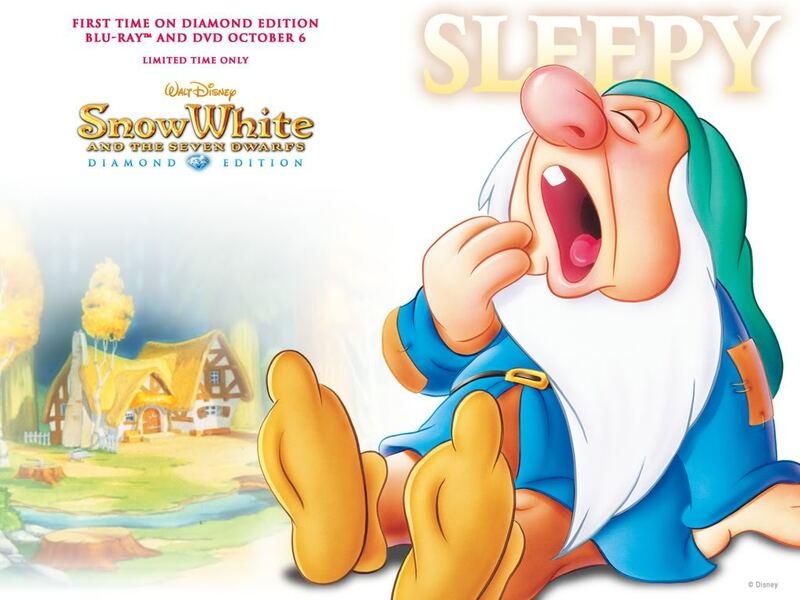 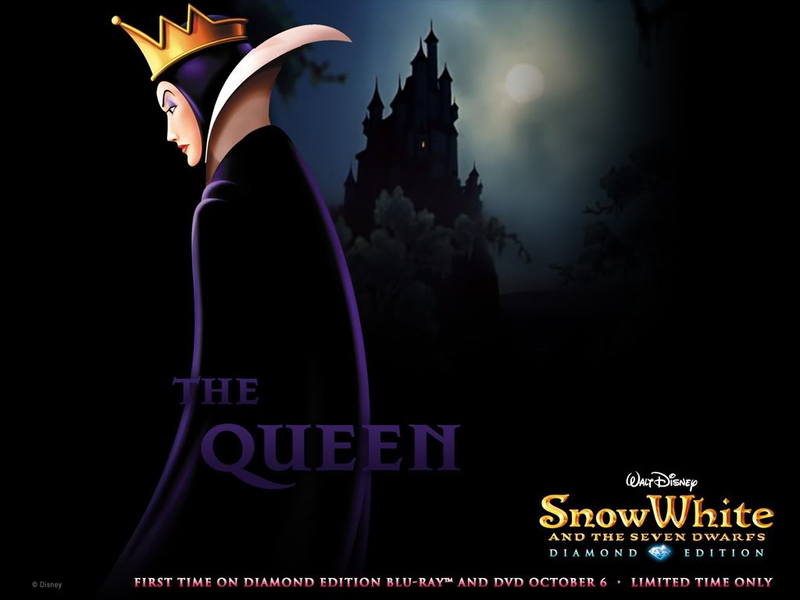 These wallpapers were available for download from Disney's Official Snow White and the Seven Dwarfs Diamond Edition website. 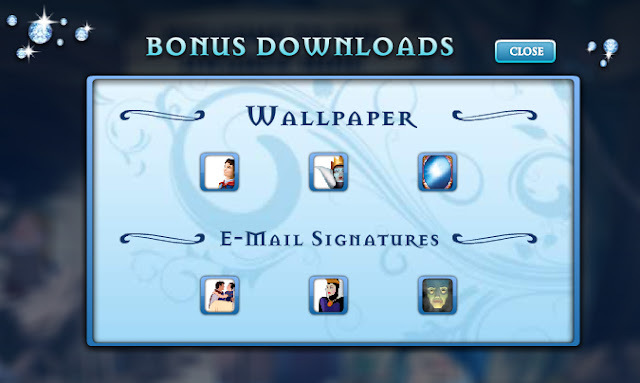 To access them, you first had to play an online game (see next post) where you could click on a character to download its wallpaper. 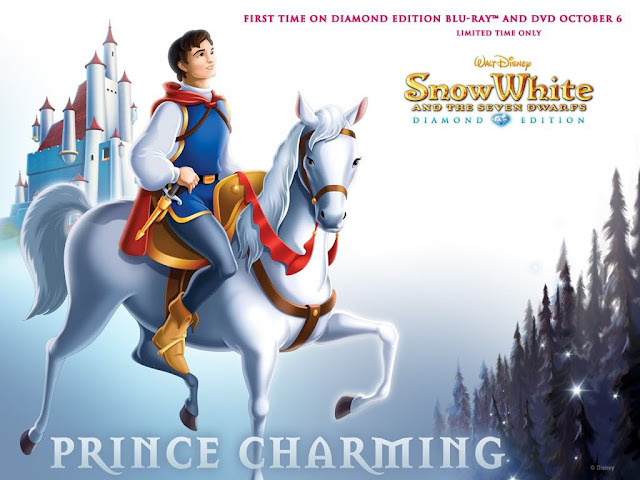 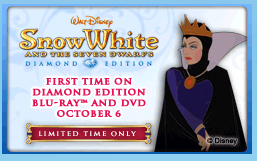 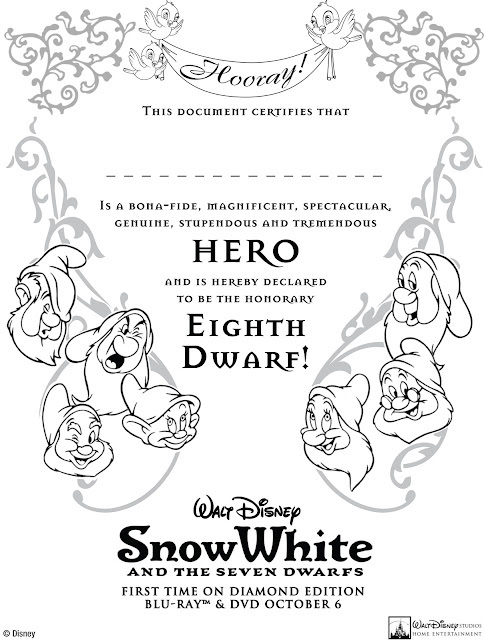 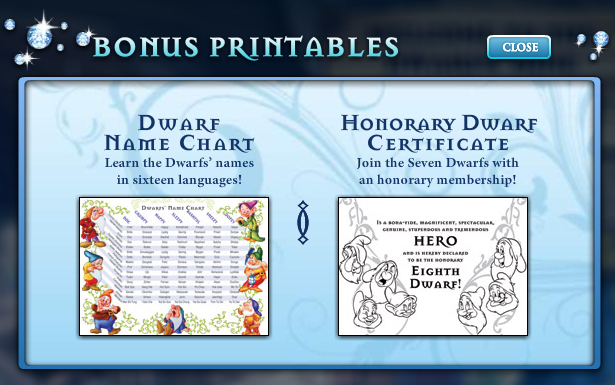 However, the Queen, Prince, and the Magic Mirror (with Snow White in it) were only available after collecting 15 diamonds throughout the kingdom and unlocking the Dwarf's Mine. 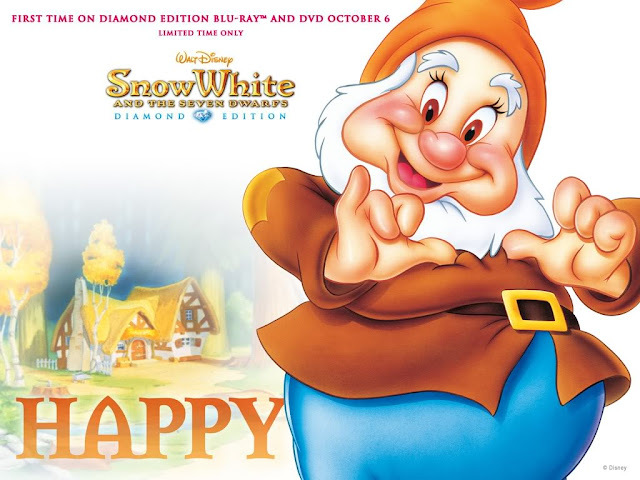 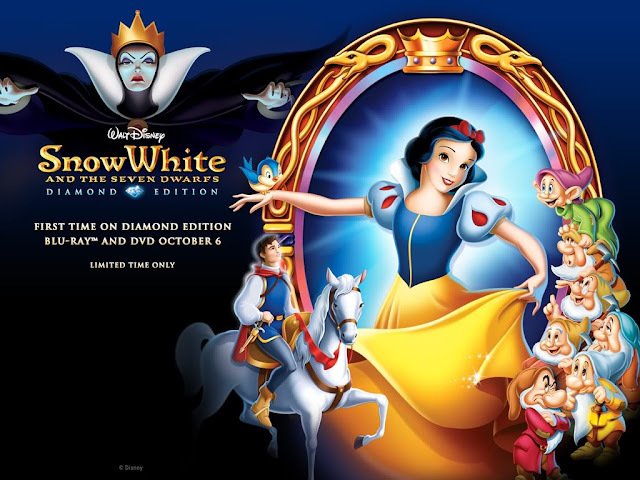 2009 Diamond Edition Snow White Desktop Wallpapers. Twenty-two year old former Snow White Natalie Marston won $5.2 million one year ago today. 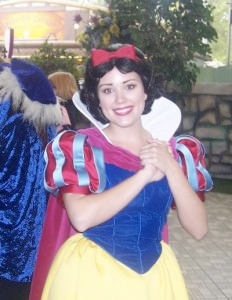 working as Snow White at Disneyland when she bought a lottery ticket on a whim. 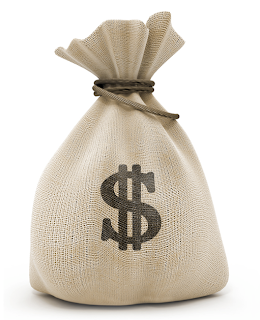 That ticket made Marston a millionaire. [She] won the $5.2 million jackpot on the"Make Me a Millionaire" show by the California Lottery. 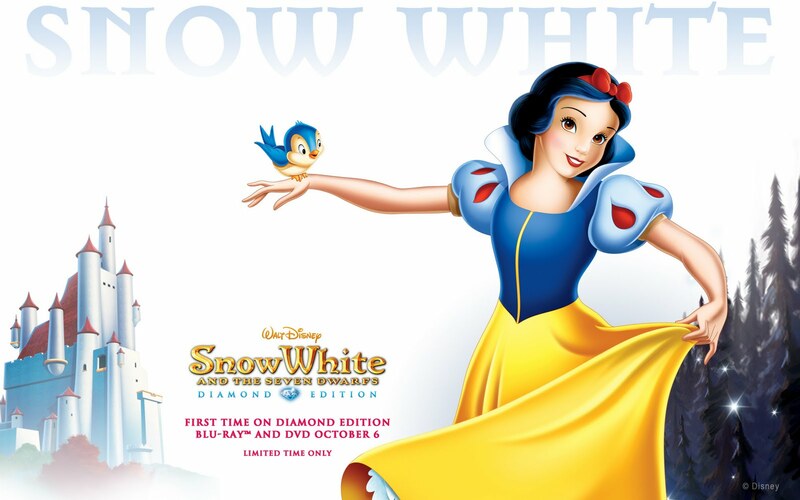 "I know I played Snow White, but I feel more like Cinderella," Marston said. 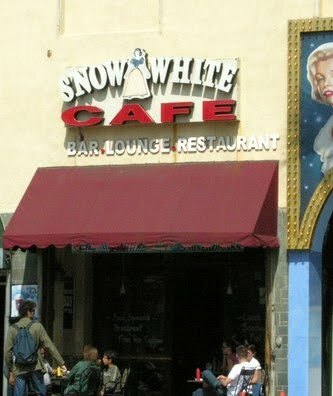 The Snow White Cafe, located at 6769 Hollywood Blvd, is "just steps from the intersection of Hollywood and Highland" in Los Angeles. 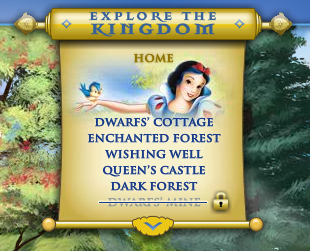 But it's not necessarily a place you'd expect to find such a Disney icon. Yes, inside you'll see murals paying homage to the famous princess and other characters from the film, but if Snow White was to actually find herself wandering into this place, the atmosphere would probably invoke a response akin to what she experienced in the dark forest...that is, unless she was just interested in finding a spot to sit and watch the tourists. Sounds like the perfect place for this. 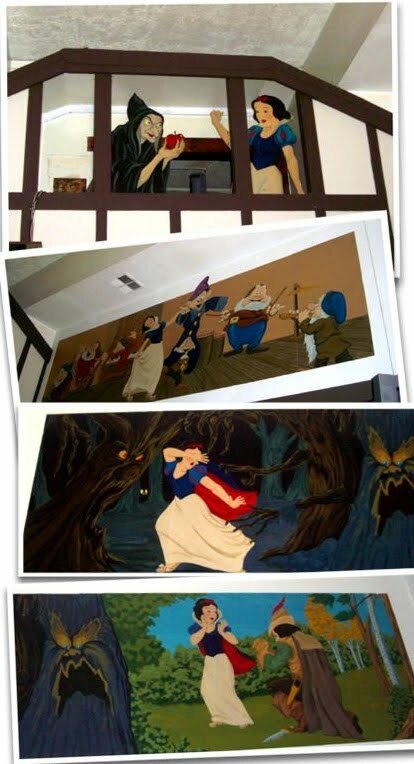 The decor is absolutely insane. 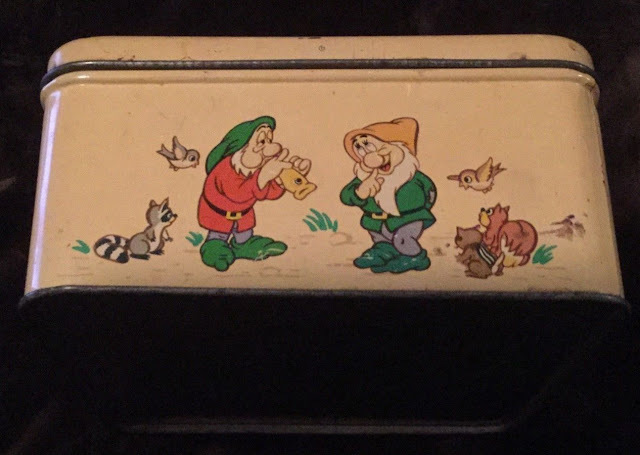 Like...If an amusement park in Iowa was a total Disney rip-off and had a ride called "Black-Haired Beauty and Seven of Her Smaller Friends", this is what the inside of that ride would look like. 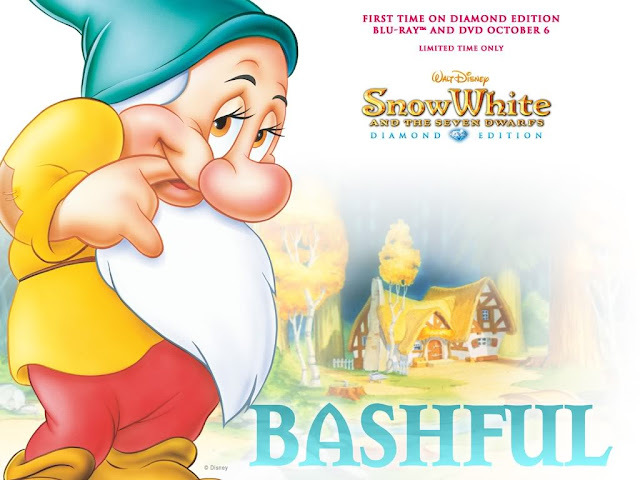 Lindsay B. 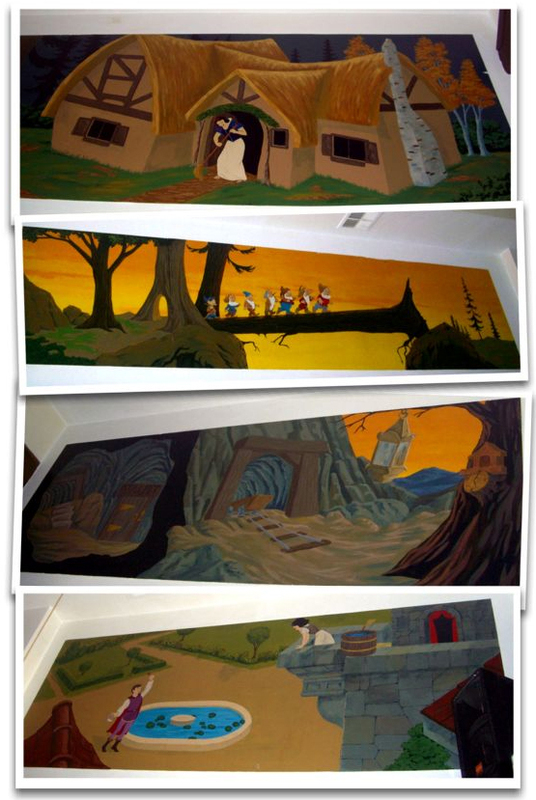 Part alpine Disney nightmare, part fern bar. I believe the owners were required to retain the Snow White name and decorative remnants by some historical conservation society or something. Linda R.
Snow White is a RELIABLE bar. 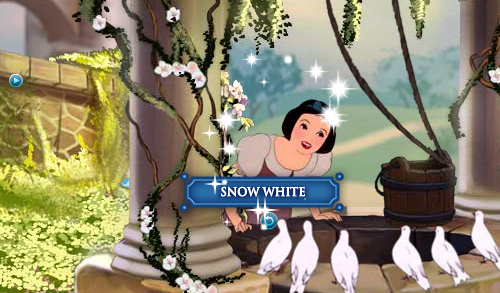 What you bring to Snow White, Snow White will give back to you. 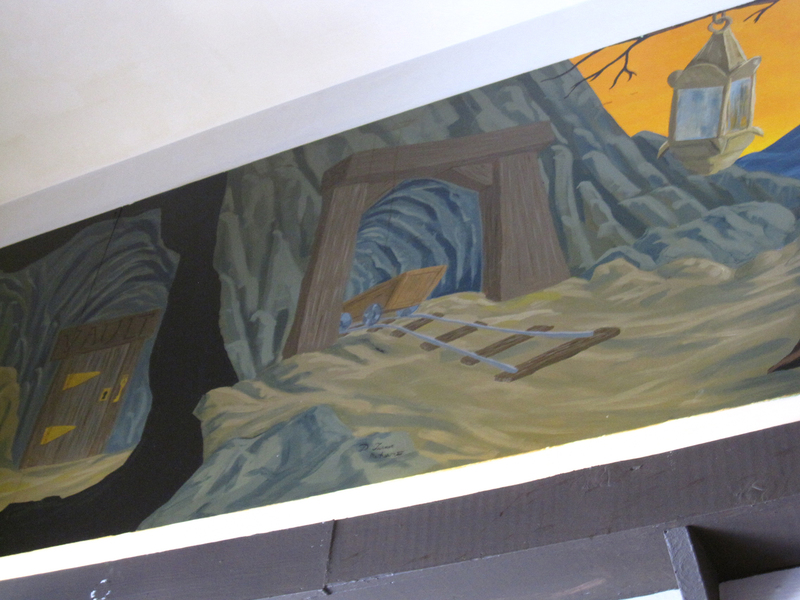 Mandy L.
Cheap crappy food, but it's great if you want to sit and have a pint after a hard day of work. 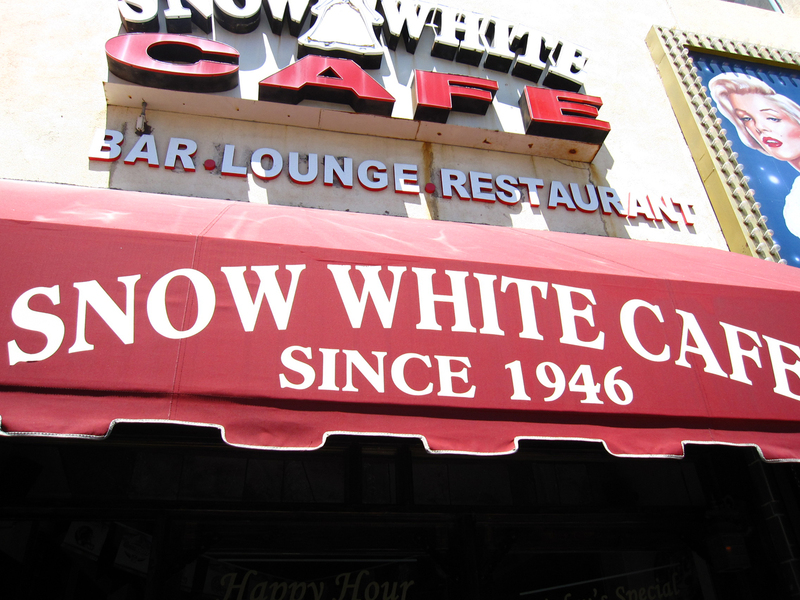 Kelli M.
In the classically cool words of one Mae West..."I used to be Snow White, but I drifted" Stephy S.
Cafe pics courtesy of Mikey Walters. 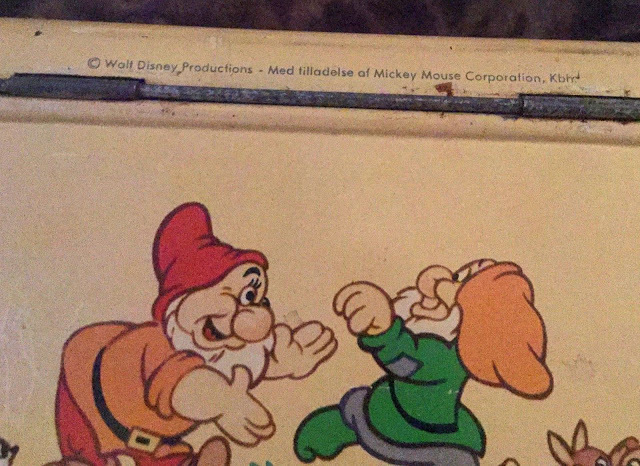 The menu has very little to say – just one sentence! 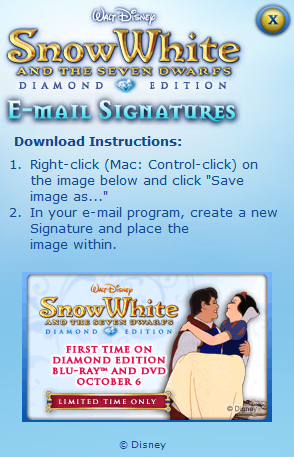 (This is likely by design, avoiding any conflict with the legal department of a certain Burbank studio.) 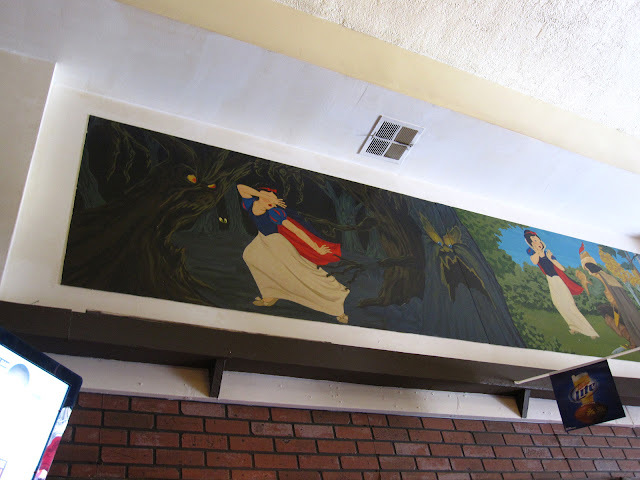 The menu states that in 1946, Disney studio artists painted the huge original mural (inside, above the front door). 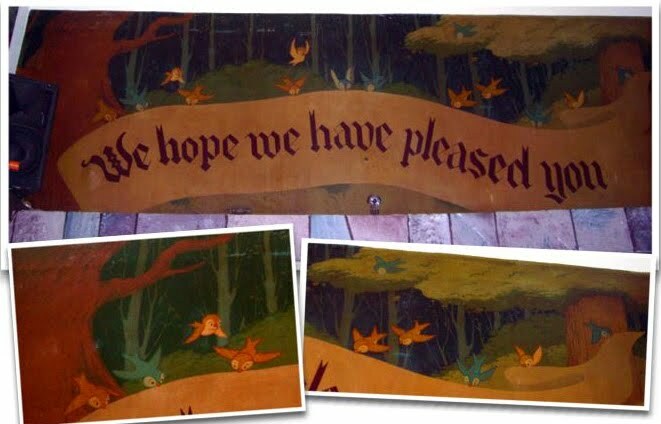 Rendered in a recognizably Disney style, it proclaims "We hope we have pleased you!" 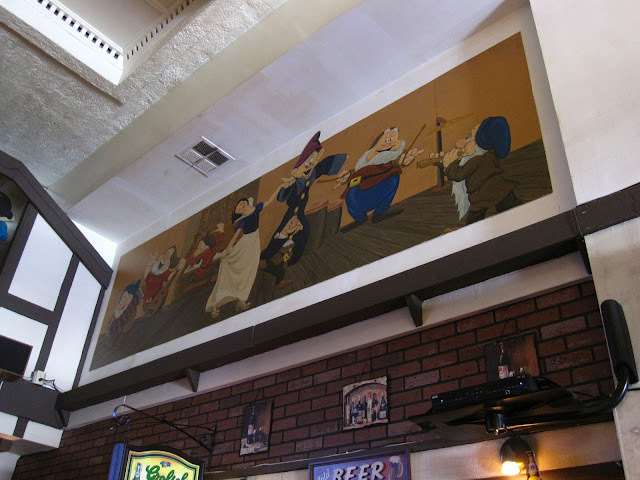 Rumor has it that the animators (and Walt, too) used to frequent the café, meeting there to brainstorm while having a light meal or a “cup of joe.” Supposedly, the mural was a gift given as a token of appreciation for the café’s hospitality to studio personnel. 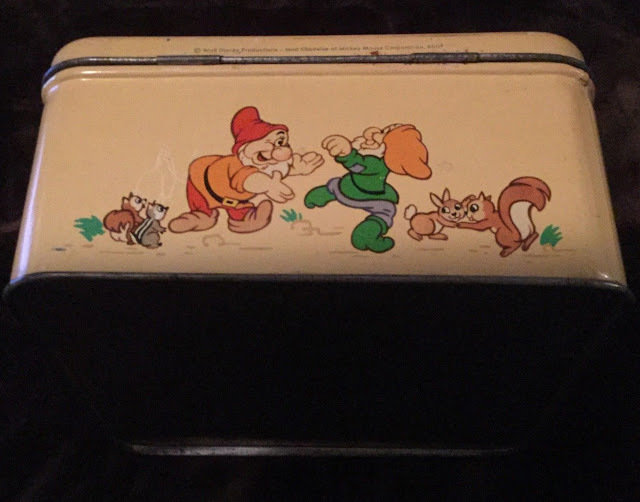 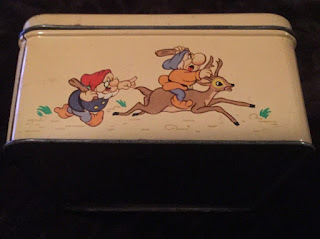 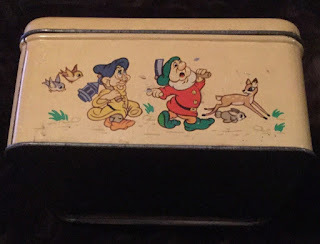 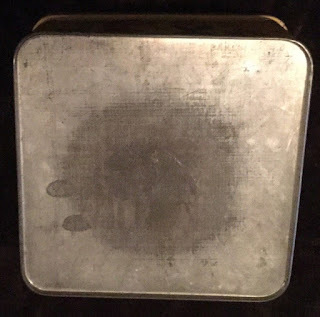 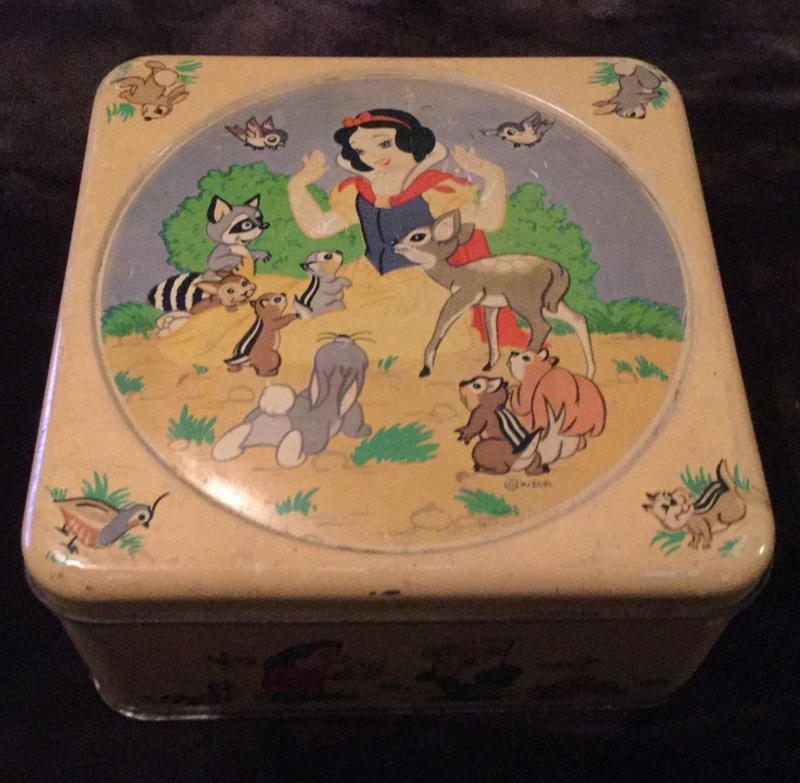 A square Snow White cookie tin from Denmark. Lithographed images on lid and four side panels. 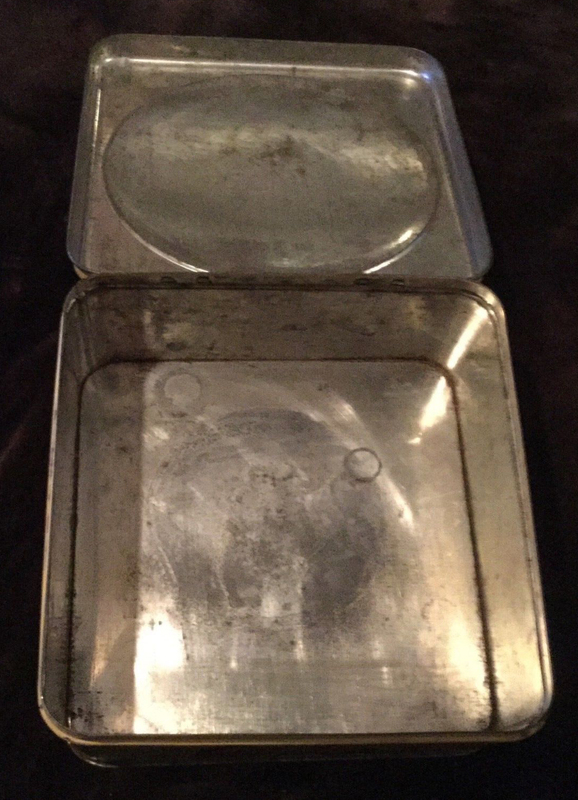 Possibly dates from circa 1940s. Rear panel with copyright imprint: "© Walt Disney Productions - Med tilladelse af Mickey Mouse Corporation, Kbhd". Polished metal inside and on bottom.